Launched in the UK in July 2007, TriPollar™ radio frequency (RF) technology is available via two devices, Apollo® and Regen®. 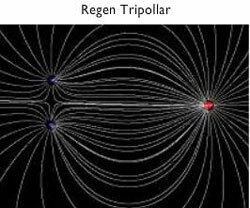 Unlike previous technologies, mono-polar and bipolar devices which use one or two poles to conduct the RF energy, TriPollar™ RF is the only radio frequency technology in the world that simultaneously combines the effects of mono and bi-polar radio frequency in a single treatment, which the manufacturers claim produces better results with less pain. 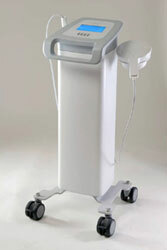 The devices are marketed for skin tightening, cellulite reduction and body remodelling. TriPollar™ radio frequency technologies have a maximum output power range from 30 - 50 Watts. The TriPollar™ radio frequency configuration and sophisticated control algorithm eliminates the need for skin and applicator cooling resulting in more efficient treatment which requires fewer treatment sessions, according to the manufacturers. Regen™ utilises 30 watts output power. It incorporates 2 applicators; a small applicator for the face which has a single TriPollar™ (3 electrode) configuration and larger applicator for the body which has both a TriPollar™ (3 electrode) configuration and, additionally, a bi-polar configuration. Apollo™ has a greater output power of 50 watts. Apollo™ comes with 3 applicators; a small TriPollar™ (3 electrode) applicator for the smaller areas of the face (around the eyes and mouth), a medium TriPollar™ (3 electrode) applicator for areas such as the face, neck and arms, and a larger applicator for the body. The larger applicator has 6 poles which create a unique, alternating, multi-TriPollar™ RF energy field. 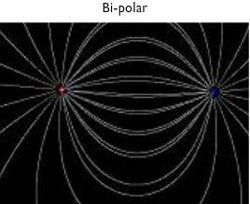 TriPollar™ is marketed as 3rd generation RF technology that simultaneously combines the effects of mono and bi-polar radio frequency in a single treatment. 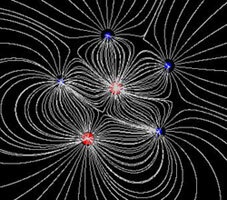 TriPollar’s key advantage is that it utilises three or more poles/electrodes which it is claimed allows for greater focusing of the RF energy and a broader RF wave density which means that it can achieve variable depths of penetration into the target tissue being treated, (both superficial and deep) giving a more uniform result, according to the manufacturers. Collagen in the tissue is heated and stimulated to create an immediate visible contraction and lifting effect, followed by remodelling with new and accelerated collagen production in the deeper layers over time. It also claims to be virtually painless, with only a mild heating sensation being felt, meaning that it requires no contact cooling to the skin during treatment. TriPollar™ is CE approved in Europe with U.S. FDA approval granted for the Apollo device using Tripollar in November 2011 for non-invasive treatment of facial wrinkles and rhytides. TriPollar™ technology does not currently come under current Care Quality Commission legislation and can be used by a trained aesthetician with medical supervision. 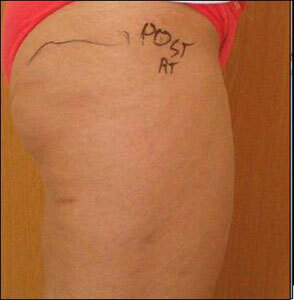 Results are said to be visible right from the first treatment and can last for months to years if maintained. 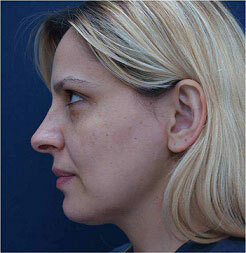 It also depends on the chronological ageing of the patients and their life style. According to the manufacturer, however, ongoing maintenance every 4 – 8 weeks could be required. Redness and warmth in the treated area for an hour or so after treatment. 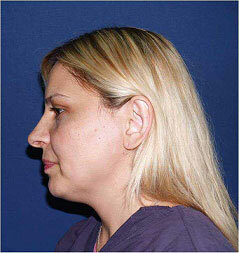 Swelling that may last from 24 to 48 hours after the treatment. People with electrical devices e.g., pacemakers, or metal implants in the treatments area cannot undergo treatments. Patients with current cancer or cancer history, especially skin cancer or pre-malignant moles. Also it’s not advised to be used for people with history of skin disorders such as keloid scarring, abnormal wound healing, as well as very dry and fragile skin. A treatment session can be expected to last about 10 - 60 minutes, depending on the area being treated, and are usually recommended once every week with an average of 4 - 8 sessions in a treatment programme, followed by ongoing maintenance to prolong the results. Images provided courtesy of Pasha Connections (UK) Ltd.
Click for ALL TriPollar™ clinics in the UK & Ireland registered and verified by Consulting Room.